Las Cruces, known as the "City of Crosses," really deserves a second look and has more than enough to keep visitors occupied for a long weekend. Las Cruces is the third largest city in New Mexico, but is typically overshadowed by Albuquerque, and Santa Fe to the north and El Paso, Texas to the south. The city straddles the banks of the Rio Grande River with vistas of the very distinct Organ Mountains, so named because the peaks resemble the pipes on an organ. It is also home to the New Mexico State Aggies. Because Las Cruces is the city in which Interstates 10 and 25 diverge many people simply pass through the city or use it as a stopover before heading on to their next destination. When to Visit: While the weather in New Mexico is considered fairly mild compared to other places in the United States, winters can be colder than one would anticipate for a desert climate, summer's brutally hot, and spring is known as the windy season. For these reasons, I think that fall is the ideal time to visit. In the fall, the weather is warm without being stifling and with all the monsoon rains, the desert is typically still in bloom. Where to Stay: Las Cruces is not a city known for its boutique hotels. Your options are generally to exercise your loyalties with your favorite hotel chain or turn to the abundance of listings on Airbnb. There are two Bed and Breakfast listings that look promising in the town of Old Mesilla, which is basically a suburb of Las Cruces, but I do not have firsthand experience with either. 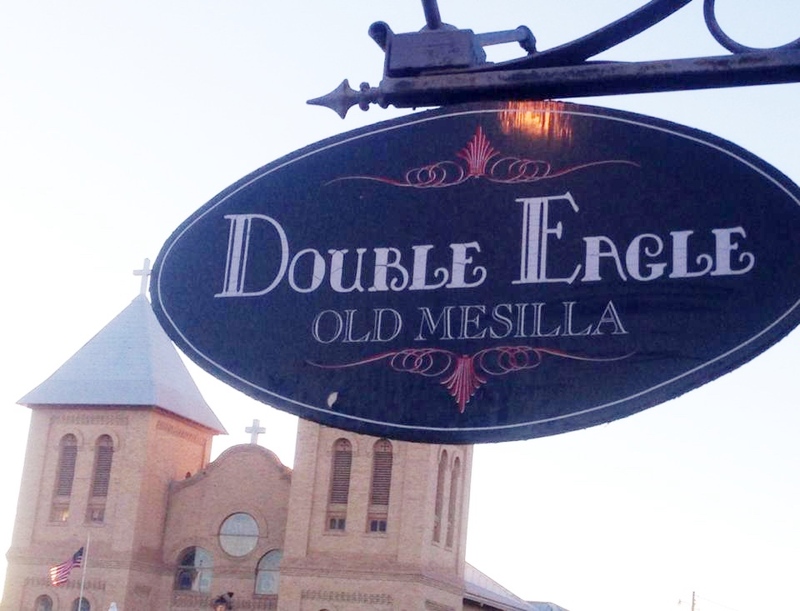 The B&B's are Casa De Rosie and Josefina's Old Gate and it is worth noting that the village of Mesilla is an ideal place to base yourself in the greater Las Cruces area. Breakfast: While many restaurants in Las Cruces offer great breakfast menus, my favorite place to grab brunch is Mesilla Valley Kitchen. The restaurant, which is only open through lunchtime, offers a variety of different breakfast foods ranging from Huevos Rancheros, pecan pancakes, and cinnamon rolls the size of dinner plates. If your looking to grab something quick on-the-go, try a burrito from One Stop. I love there steak and potato or the potato, egg, and chile, but they have tons of options to choose from. Lunch: Paisano Cafe, located in Old Mesilla, is a great place to stop in for lunch or dinner. I've often stopped in here for lunch when I've found myself working in the area. Their menu has some unique wraps or sandwiches that I always like to order with a side of their sweet potato fries. If you're grabbing lunch on the go, The Corner Deli is a great local option. They offer just about any type of deli sandwich combination you could imagine, including a selection of hot sandwiches. They Also have a variety of sides to make your sandwich a meal and all of the sandwiches are made with Boar's Head meats and cheeses. My advice is to order the "mini.” Despite the title, it's plenty of food and you'll get a drink and cookies too. Dion's is another local favorite offering pizzas, salads, and subs. They are a regional chain, with two locations in Las Cruces. You can order pizzas whole or by the slice and their subs are delicious, especially when dipped or slathered with their signature Greek dressing. They also have the best sweet tea in town. I'm a southern girl; you can trust me on this one. Drinks: Southern New Mexico boasts some really great wines and Las Cruces has two wineries that I would recommend. My favorite is St. Claire's, which offers some truly unique options in addition to their staple Mimbres red, white, and pink. They also host a monthly Yappy Hour, which welcomes well-behaved pets to their patio for drinks, and they often have live music on weekends. While I'm partial to St. Claire's, I have to also mention that the nearby Luna Rosa Winery has a nice selection of red and white wines and they also have gelato if you're looking for a sweet treat. Whether you drink or not, you simply have to check out the old fashioned bar inside the historic Double Eagle Restaurant. The dark wood paneled walls, chandelier, and portraits make you feel as though you've stepped back in time. They have quite a few unique drink offerings including Passion Fruit Margaritas and green chile infused vodka. If it’s beer you’re looking for, I’ve heard great things about both the High Desert Brewery and the Spotted Dog Brewery. If you’re looking for a local sport’s bar to catch a game and eat some decent food, I suggest heading to one of The Game’s two locations. Dinner: Tiffany’s is a local, family owned Greek restaurant in Las Cruces. It’s a hidden gem that most locals like to keep to themselves. You’ll be hard pressed to find a better gyro, pizza, or baklava anywhere else. The owner is also a big fan of John Wayne (this is the wild west after all). I promise you won’t leave here hungry; the portions are huge! If it’s an upscale establishment you’re looking for, I recommend heading to the Double Eagle Restaurant I mentioned above. The restaurant features a seasonal menu and the only beef aging room in the area. The building itself has quite the storied past and is rumored to be inhabited by a ghost. While this restaurant certainly isn’t stuffy, it’s not a place that I would recommend for dining with children. If it’s Mexican food, specifically New Mexican cuisine you’re looking for, Las Cruces has a multitude of great options to choose from. 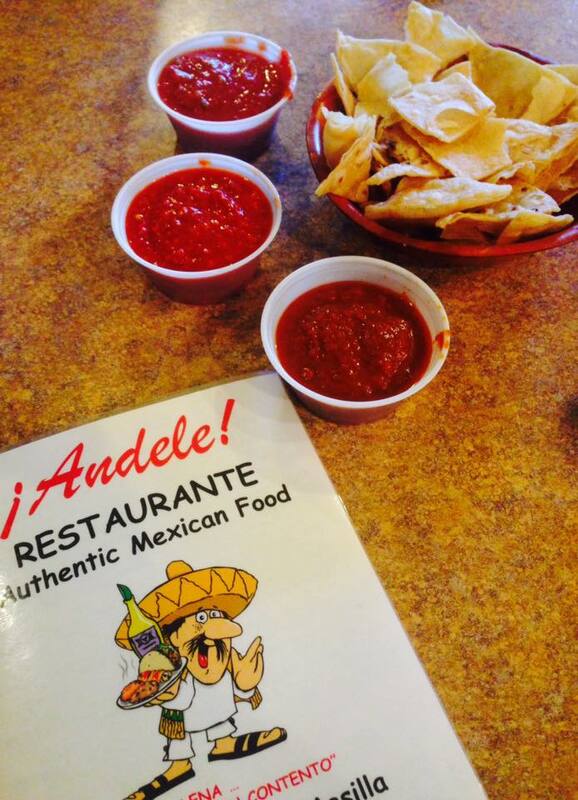 One of my family’s favorites is Andele’s in Old Mesilla. They feature a salsa bar, tortas, which are the like the Mexican version of a hamburger, and several combination plates, which include chile rellenos and enchiladas. Their specialty are the tacos-al-carbon and personally I always go for the teriyaki marinated pork for my choice of meat. The plate and platter of tacos is huge; you’ll definitely have leftovers. You also can’t go wrong ordering a side or smothering an entre in their signature green chile sauce, which is actually a green chile cheese sauce, similar to chile con queso. If you’re really lucky, you’ll be seated in Isaiah’s section, he’s sassy, but undoubtedly the best waiter in town. I’ve never seen him write anything down even when serving large groups. They also have The Dog House across the street, which welcomes diners with pups onto the patio. Some other favorites featuring Mexican cuisine include Chilito’s. I really enjoy their chicken plates, like their chicken enchiladas and their chicken flautas and they have a nice outdoor patio if the weather isn’t too hot. Chachi's is another great place with two separate locations in town. Their tacos, particularly the brisket tacos, are one of my favorites. Kids will also enjoy the brightly colored murals painted on the walls. Dessert: Authetic French pastries in New Mexico? Yep! Check out Le Rendezvous Cafe. Beignets, tarts, cheesecake, macarons, etc. you’ll find them all here. Caliche’s Frozen Custard is a great place to stop if you’ve got a sweet tooth. If you’re a chocolate lover try the Gizmo or the Fudge Brownie Bliss. Some other favorites include the Mango Dango and my sister swears by the Strawberry Shortcake. They also offer seasonal favorites like Pumpkin Pie Cheesecake every fall and Key Lime Pie in the summer. You can also build your own custom creation from a vast assortment of toppings. Portions are generous and they’ll even offer you a “poochie cone” if you happen to bring Fido along. Things to Do: Checkout the town of Old Mesilla, particularly the plaza area with the church of San Albino at one end and the historic La Posta De Mesilla, an important stop for the Butterfield Stagecoach trail, on the other. The village is like a mini Santa Fe, but less eccentric. Be sure to wander around the streets lined with old adobe homes and be on the lookout for brightly colored doors. In addition to a lot of the great restaurants I already mentioned, Mesilla offers some great shopping. You can find some unique southwest jewelry and southwest home décor here. Turquoise and other semi-precious jewelry is significantly cheaper here than it is in cities like Santa Fe or Taos so be sure to take advantage. I really like Silver Assets, Julienne’s, and Matteo’s inside La Posta. The New Mexico Farm and Ranch Heritage Museum offers a unique visitor’s experience and look at what life has been like for generations of New Mexican families. Kids really enjoy looking at all the animals, especially the live milking demonstration, and they also have some great temporary exhibits. Last time I visited, they had an exhibit featuring the artwork of Shoofly. The weather in Las Cruces is fairly mild for most of the year, which makes it a great place for hiking and other outdoor activities. Some of my favorite hiking locations include Dripping Springs and La Cueva, which are fairly easy hikes that I recommend tackling back-to-back on the same day. Sadly, they don’t allow dogs on either of those particular trails. For longer more scenic hikes, I recommend either Soledad Canyon or the Pine Trail Loop at the Aguirre Springs Campground, located on the backside of the Organ Mountains. Both of these trails allow on-leash pets. If golf is your preferred outdoor activity of choice, Las Cruces boast three different courses that are sure to keep you busy. They include the NMSU, Sonoma Ranch, and Red Hawk courses. Looking for something different? Head out to the dirt track races at the Southern New Mexico Speedway. I honestly didn’t think I would enjoy watching this, but it was more entertaining than I had anticipated and they really promote the event as a family affair. Little boys would especially enjoy it. If you find yourself in need of some relaxation, I recommend a trip to Carmona’s Day Spa, located in the downtown plaza. They offer a salon and full menu of spa services featuring Aveda products in a serene setting. If you happen to be in Las Cruces on a Saturday or Wednesday, check out the Las Cruces Farmer’s Market. You’ll find a lot of local food, arts, and crafts as you wander down Main Street. It’s the best place to find locally made items to take home with you. Enjoy country dancing? Checkout Whiskey Dicks, but don’t go to late because they play more and more hip-hop as the night goes on. A nice incentive to go is that ladies never pay a cover. Special Events: Las Cruces is host to several events depending on what time of year you visit. The Country Music Festival is held every spring in the downtown plaza. The event features several big name performers, as well as some up-and-coming local talent like Josh Grider and Bri Bagwell. Every Labor Day weekend, Las Cruces hosts the annual Harvest Wine Festival, featuring wineries from across the southwest. If you are here at the end of September or beginning of October, try to make it to the Turquoise Circuit Finals, held in conjunction with the Southern New Mexico State Fair. Many of rodeo’s top athletes compete here before going on to compete at the National Finals in Las Vegas. Have you ever been to southern New Mexico? What did you love most? P.S. A big thank you to my dad for providing food and location photos!